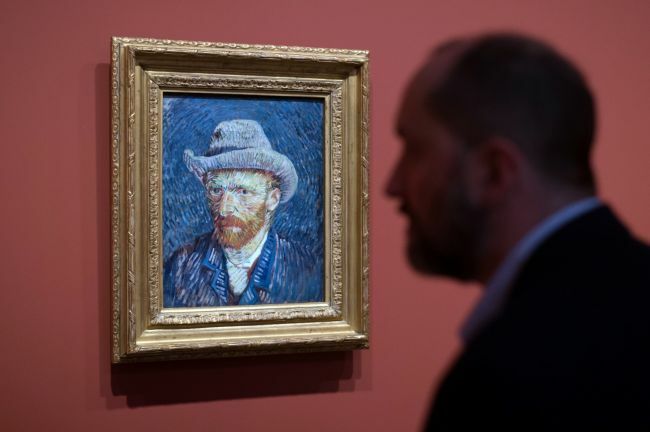 THE HAGUE, Netherlands (AFP) -- Dutch artist Vincent van Gogh was possibly bipolar or had a borderline personality, but a combination of factors likely drove him to cut off his ear and commit suicide, a researcher said Friday. “We’ve come to the conclusion that it’s impossible to draw a final conclusion about his illness,” said Louis van Tilborgh, a senior researcher at Amsterdam‘s renowned Van Gogh Museum. Van Tilborgh last week led a two-day panel discussion with researchers and medical experts -- particularly psychiatrists -- on the fringes of the museum’s latest exhibition called “On the Verge of Insanity” which delves into the Dutch master‘s mental state. The panel aimed to find some modern medical explanations for the mental illness that ended with Van Gogh’s suicide on July 27, 1890 at Auvers-sur-Oise, near Paris, at the age of 37. “Before the episode with his ear, he possibly suffered from a borderline or bipolar personality,” Van Tilborgh told Agence France-Presse. It was more likely a combination of factors that set off a psychosis: his excessive drinking, particularly of absinthe liquor, and bad eating habits; and his deteriorating relationship with the post-impressionist painter Paul Gauguin, whom Van Gogh adored. After Van Gogh sliced off his ear in December 1888, which also marked the end of his friendship with Gauguin, his psychotic episodes became increasingly frequent, Van Tilborgh said. “This fear eventually led to his suicide two years later,” Van Tilborgh said. The museum‘s “On the Verge of Insanity” exhibition focuses on the artist’s final 18 months and features a number of interesting exhibits, including the suspected gun used in his suicide. It also for the first time reveals that the tortured artist cut off his whole left ear and not just a part of it, as many had previously believed.